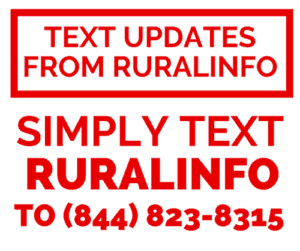 These updates were sent to Ruralinfo.net by a trusted source and were confirmed as correct by several other sources. Please join me in thanking those that want to keep information flowing to rural carriers. If not for them, thousands of dues paying rural carriers would be left in the dark wondering what might be happening with events that control their livelihoods. Current EMA: 64.5/mile or 25.80/day, whichever is greater. Last Mail Count they counted 38% of routes. Rural side is starting to gain boxes/routes. City Craft lost 10,000 routes. Oldest carrier is 82 – hasn’t missed a day of work in 10 years. USPS Paid out 892 million in Daca code 3 & 5’s from 2000-2014. Retention of RCA’s is creeping up because they have a committee going around asking new RCA’s if they have or need anything to help them do their job better. (General Wage Increase) and COLA. ONLY ISSUE IS GWI & COLA!!!! 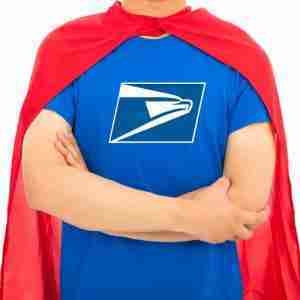 NRLCA/USPS still having conversations but the NRLCA is still preparing for mediation. Engineer Study still in Progress- Some aspects of it are complete. Office paperwork and Misc Mail handling: Studies are mostly complete and results are being compiled. Street paperwork and Misc Mail handling: Studies are in Progress. Mail Stop Activities: Studies are in Progress- filming is underway MTM analysis has begun. Will not be finished anytime soon. New code for edit book: DNA – Door not accessible. Example: More then 1/2 mile, gated community with no code or access, high rise not allowed access. NOT DNA’s: No secure location,large enough mail box regardless of the mail piece being delivered. When required to put the DNA’s in edit book it is 8127 time. Accountable’s Delivery Report: (from scanner) will hold info for a month. Write any deviations on 4240’s. You can view or print Accountable report. Take scanner to door and scan at door!!! NOT responsible for damage to scanner unless intentional. Should not be under walking on scanner. If you pass the 1/2 mile distance for parcel delivery and get in a wreck you are not covered. Scanners can tell them how fast you are going. No pictures/ sound on scanner, only GPS capable. No RCA should carry a route until they have finished ALL training. RCA’s cannot be fired until sent to district and approved. Make sure to write down breaks if problems continue they can put you on the low option or cut route. Should not be required to take leave immediately. For the July 13-18th Amazon stress test. Sites will receive their first drop on the morning of the 13th and the last on the morning of the 18th. Specific sites or offices not available. I thought they meant sick leave. Either way. 82 years old? Why bother retiring now. Odd how we as carriers go through a stress test on a daily basis. July 11th EMA will go up to .69. How would Amazon know how many pallets they would be sending? It’s all the parcels they hid during the count! What does “Should not be under walking on scanner.” mean? I would think that is for City Carriers.